These elegant wedding reception invitations are perfect for inviting guests to your post wedding celebrations. With stunning designs like, mason jar invites, chalkboard wedding announcements, string lights invites, and even upload your own photo. Suitable for all kinds of wedding theme, formal or informal. 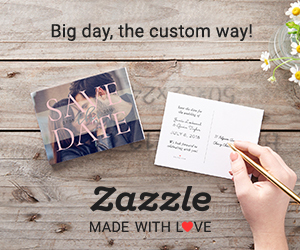 All reception only wedding invitations can be personalized if you choose. Simply enter the persons name and wedding celebration details before changing the font, style, colour, and layout. You can also choose from a selection of paper styles and finishes for the perfect invitation. Announce your wedding celebrations in style with a stunning Reception-only wedding invitation.